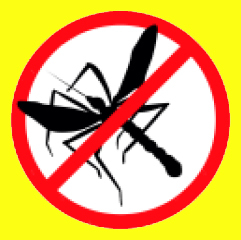 Mosquito?s are attracted due to several factors including body odour, exhaled carbon dioxide and by radiated heat. The feeding urge is triggered by the lactic acid on the skin. Will the Anuva Snap & Release band work for me? For the majority of users, the Anuva Snap & Release band works well, however, there are exceptions to certain overpowering scents such as perfumes and certain body chemical releases. The Anuva Snap & Release band repels mosquitoes up to 30 days although results may vary depending on usage and frequency of snapping of the band. The Anuva Snap & Release band does not contain DEET or any other pesticides. It contains the active ingredient Geraniol which is considered to be GRAS (Generally Regarded as Safe) by the EPA included in exempt product listings. Products comprised of these active ingredients and inert ingredients taken from the EPA Exempt List (FIFRA) are considered safe for public use. This is particularly important when considering how to protect children from mosquitoes. The Anuva Snap & Release band designed was designed and formulated to protect people. Although it contains natural ingredients, we recommend not putting it in the mouth or near the eyes. How does the Anuva Snap & Release band compare with sprays, liquids and lotions? Sprays, liquids and lotions are greasy usually. The Anuva Snap & Release band effectiveness is not reduced by perspiration. It is also water proof.